49 – O is an upcoming movie starring evergreen comedian Goundamani .This movie audio launch was successfully held last week. during the launch some reporter asked Gounder whether there is any involvement of Ilayathalapathy vijay help in 49-O movie release ? in Usual manner he asked reporter that why vijay should help for 49-O movie release and He don’t have any connection to 49-O movie and he have lot of other important things than this. he frusturated with that question. Sivakarthikeyan also attended this meeting , he humbly praised the Goundamani . when he was talking about Gounder , he mentioned that , he was wonder to hear Fast and furious theme music in Gounder mobile ringtone . 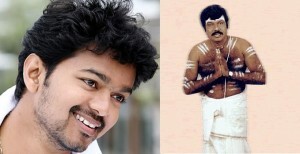 Goundamani replied to him that he only watches Hollywood and other language movies only .